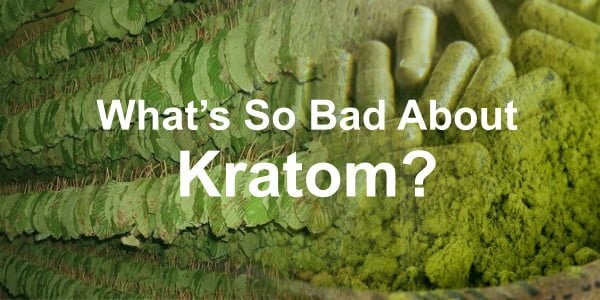 Home Articles What’s so bad about Kratom? Kratom is a natural painkiller that has been hyped as a ‘legal high’ by right wing newspapers and has been listed as a ‘drug of concern’ by the DEA. The hype by those who take the view that ‘all drugs are bad except tea, coffee, alcohol and fags’ has given a painkilling stimulant with a similar hit to a “very strong green tea with coffee influences”, a lot of unwelcome publicity according to an expert who spoke to me on the condition of anonymity. Over this blog we will look at the various uses of kratom, and let you make your own mind up about a much maligned herbal medicine. Inca Trading was transporting the herb to Italy for processing into cosmetics when the jumped up petty officials who clearly knew they miss a few tonnes of heroin and coke passing through the port every month, decided to go for some low-hanging fruit that was openly listed on the cargo manifest. Inca Trading’s lawyer John Spyrou said to the newspaper, “Inca Trading Ltd will be pursuing an appeal by way of the Queen’s Bench Division of the High Court.” I have it on account that this battle will continue for some time to come. Kratom is a mild stimulant that can’t really compare even to a line of speed, and if you take too much you will be puking your guts up for hours. It’s not a good idea to take too much unless you take emetics for shits and giggles. My anonymous contact explained to me its uses. Referring to the types of kratom generally found, he explained the effects that the various grades generally have: “red traditionally is really sedative and really pain relieving, too strong for somebody who wants to be productive so people would more likely take it when they get home, and then relax on the couch watch TV or chill or read a book. Whites are more energetic like a strong cup of coffee but also pain relieving, therefore, people like to take it in the morning so they kick start the day. The green is in the middle more balanced so people like to use it as a mixer, or over the day to keep the pain away if they don’t want to get too sedative”. It is a painkiller, though not as strong as morphine so the user will have some pain but low enough for it to be manageable and thereby they can get through the day. Considering the government is so into getting people into work because ‘work makes you free’, one would wonder at its stance on natural painkillers that can deaden the pain enough for someone to go to work. Kratom has two substances in it that are widely used in cosmetics and Herba Invest SRO invested a considerable sum of money into the business that had its shipment seized by Southampton Port. Herba Invest SRO was the first company to have kratom licensed in the EU as a cosmetic. It took several years for Herba Invest SRO together in a joint adventure with the University of Turin which is one of the leading universities for getting new plants approved to get kratom approved for cosmetics and as anti-inflammatory cremes.